Leadership: Prophets, Priests, and Kings in the Church Today? This post on prophets, priests, and kings as leadership typology is excerpted from my book The God Who Goes Before You. You can purchase the book here. Does my personality as a leader land me in the category of prophet, priest, or king? And, if it does, what does that mean for my leadership in the church? I first encountered these questions several years ago while assessing potential church planters. Over the years that have followed, I’ve become convinced that these questions are grounded in a fundamentally flawed understanding of leadership and of the biblical categories of prophet, priest, and king. “I’m not really preparing to do pastoral care,” one potential church planter informed me when I asked him about his approach to counseling, “I’m more a king than a priest, you know. So someone else will need to do the counseling and visiting when I’m a pastor.” Another pastor-in-training put it this way: “I’m more of a prophetic teacher, so I’m looking for a kingly type to supplement my leadership style by taking care of strategy and vision.” Church planters in particular seemed eager to pigeonhole themselves and their fellow leaders into anointed categories of prophet, priest, or king. When I pressed these individuals further, I realized they were operating with a leadership model that they perceived to be well-grounded in the Scriptures. From the perspective of these students, to lead like Jesus was to imitate one or more of the Old Testament offices that Jesus fulfilled. As they saw it, the threefold office of prophet, priest, and king—the munus triplex—provides a typology for church leadership. As pastors, they could be prophets, priests, and kings, by virtue of possessing prophetic, priestly, or kingly gifts in differing degrees. Prophets, Priests, and Kings—a Typology for Christian Leadership? The perspective represented by the students who were eagerly classifying one another as prophets, priests, and kings connects each anointed role in ancient Israel with a type of church leader. Those with strong teaching gifts are considered prophets; counselors and caregivers are classified as priests; those who can lead organizations effectively are identified as kings. Several modern Reformed theologians—including John Frame,Vern Poythress, and R.B. Kuiper—have tied prophecy to the work of the church’s teaching elders, while priesthood is linked to deacons and kingly functions are correlated with the church’s ruling eldership. But what biblical warrant is there for clustering church leaders into categories of prophets, priests, and kings? What I argue in detail in the book The God Who Goes Before You is that, even though the threefold office of prophet, priest, and king is itself a venerable structure, the appropriation of prophet, priest, and king as a typology for church leadership is not. In fact, this usage of the munus triplex falls far short when it comes to support either from Scripture or from church history. Particularly absent in Scripture is any clear identification of these offices with specific traits that different church leaders possess in differing degrees. In this excerpt from The God Who Goes Before You, I’ve summarized a few of the problems with using the munus triplex as a leadership typology as well as sketching out a new possibility for how we might link Old Testament kingship to the life of the church today. God had promised the Israelites that he would provide everything his people might need to flourish in the land if only they would remain faithful to his covenant. And yet, a time would come when the people would no longer be satisfied with what their God offered. They would demand a king to represent them, to fight for them, and to become their judge so they could become ‘like all the other nations’ (1 Samuel 8:20; see also 12:12). The people’s desire for a king was not a problem. Kingship had, in fact, been part of God’s plan from the beginning (Genesis 17:6, 16; 35:11; Numbers 24:17). The people’s desire was not, however, merely to have a king but to set up a king in the same manner and for the same purposes as the nations around them. Foreseeing the people’s request, Moses mapped out a clear manifesto for Israel’s monarchy in Deuteronomy 17. This design would indeed provide Israel with a king—but the monarchy that Moses described would, in some sense, accomplish the opposite of what Israel would demand. In God’s design for Israel, kingship would not be a status to be seized or a goal to be achieved for one’s own benefit. Kingship would be a gift to be received in God’s time by God’s grace for the good of God’s people. The result would be a monarchy that would make Israel unlike any other nation under heaven. In other nations, a king or priest might be seen as the son of a deity, divinely elevated above his subjects. In Israel, however, the entire nation was God’s son corporately, and everyone—including the king—was a brother (Exodus 4:22-23; 6:3-9; see also Sirach 36:17). The position to which the king would be called was not sovereignty above or separate from the community of Israel but stewardship within the community in submission to God’s Word. The king’s responsibilities as a brother within the covenant community always superseded any power he might enjoy as a monarch over the covenant community. The king was called to ‘write for himself a copy of this law on a scroll in the presence of the Levitical priests’ (Deuteronomy 17:18 NASB). By copying the covenant anew, each king of Israel would engage in a sacred act that would produce a sacred artifact. Through this act and artifact, every king of Israel would participate anew in God’s covenant with Israel. In kingdoms surrounding Israel, covenant documents might be kept in a temple so that a priest could read the treaty to the king at designated times. Statements of deposition may be found in several surviving Hittite treaties: ‘A duplicate of this tablet is deposited before the Sun-Goddess of Arinna since the Sun-Goddess of Arinna governs kingship and queenship,’ reads one such document. Moses prescribed a similar practice for Israel each year at the Feast of Tabernacles (Deuteronomy 31:9-13) in addition to the requirement that the king copy and keep a copy of God’s Law; however, Moses called for a reading of God’s Law not merely in the hearing of Israel’s leaders but in the presence of everyone in Israel (‘men, women, children, and foreigners’). This personal copy of the covenant would serve as a working document to direct every judgment that the king handed down. The same words that once thundered from the peak of Mount Sinai would rest at king’s fingertips to mold his life and his leadership. The result would be a leader who feared God, submitted to God’s instruction, enacted God’s statutes, and taught his sons to do the same (17:19-20). The king stood, in some sense, in continuity with the judges of Israel—but, whereas the justice of a judge was limited to a certain region and lasted only until his or her death, the justice of a royal dynasty could last forever and extend as far as Israel’s borders. It was in the virgin womb of a girl from Galilee that the consummate fulfillment of kingship began to blossom into the fullness that God had always intended (Luke 1:32-33). God himself entered the cosmos in the flesh of Jesus Christ to do what no previous king had done or could do: he upheld every covenant of God and inaugurated a ‘kingdom not of this world’ to provide a foretaste of perfect justice on the face of a fallen earth (John 18:36). From the womb of Mary to the garden tomb and beyond, this Son of David followed every detail of God’s design for kingship. He submitted to his Father’s Word, rejected every trapping of earthly power, and refused to exalt himself above his brothers (John 5:19-20; 8:54; 18:36). He was a king who came proclaiming a kingdom (Matthew 4:23; Mark 1:15; Luke 4:43), and he will come again to multiply this kingdom around the globe until the earth is ‘filled with the knowledge of the LORD’s glory, as the waters cover the sea’ (Habakkuk 2:14). In light of what we’ve learned about kings in the old covenant, how should this kingship shape the leadership of God’s new covenant people? According to those who treat kingship as a typology for a particular kind of church leader, kingly leaders are visionary builders who develop organizational strategies and take responsibility for the church’s direction. ‘Ultimately’—one proponent of this typological approach claims—‘large ministry areas must be led by a king’ because kingly leaders are the ones who actually get jobs done. Another proponent of this approach specifically urges ‘upper-echelon leaders of complex organizations’ to live as kingly leaders, emulating the template for Old Testament kings. Scripture, however, never describes kingship in terms of visionary leadership or strategies. Neither in Moses’s description of God’s design nor in later depictions of the ideal king is there any hint that visionary organizational strategies were part of the job description for kings in Israel. Even if we suppose that kingship is a type of leadership that can be conveyed to particular individuals in the church, the definition of a kingly leader as a dominant visionary strategist is unbalanced at best and fundamentally flawed at worst. Treating kingly leadership as visionary organizational strategy imports a very modern concept of leadership into old covenant kingship and, in the process, skews our understanding of church leadership in the new covenant. This is not to suggest that visionary strategies are unhelpful or unnecessary in leadership! The point is that Scripture never links these capacities to the office of king or even to a particular role in the church. Kingship in the old covenant was focused primarily on modeling covenant faithfulness and judging the people in righteousness, not on visionary leadership or strategic planning. Even more problematic for the claim that kingly leadership is conveyed to particular individuals in the church is the fact that kingship in the new covenant is never identified as the property of individual Christians. Kingship in the kingdom of God is ascribed to God in Christ and to the whole people of God in union with Christ. Jesus promised his first disciples that they would reign alongside him (Matthew 19:28; Luke 22:30). But this glorious privilege extended far beyond the apostles! ‘If we endure, we’—Paul wrote to Timothy, referring to all of God’s people—‘will also reign with him’ (2 Timothy 2:12; see also 1 Peter 2:9; Revelation 20:4-6). Through union with Christ, every believer in Christ participates in the kingship of Christ, but this participation is corporate and communal, not individual. None of us is called to live as a kingly leader individually or independently in the church of Jesus Christ. When a few Christians in Corinth began to act like royalty in a manner that separated them from their fellow believers, Paul called them to return to unity with the body. ‘You have begun to reign as kings without us,’ Paul declared with a generous dollop of sarcasm, ‘and I wish you did reign, so that we could also reign with you!’ (1 Corinthians 4:8). Instead of claiming any kingly role over the Corinthians for himself, Paul called them to imitate his pattern of living as a servant of Christ and a manager of God’s mysteries (1 Corinthians 4:1, 16). 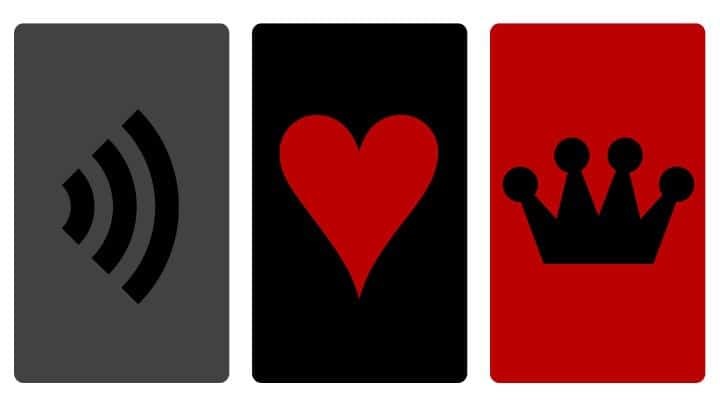 So, if kingly leadership isn’t an individual capacity for organizational effectiveness and strategic vision, what is it? when the saints were enthroned in John’s heavenly vision, they were ‘given authority to judge’ (Revelation 20:4). It seems, then, that one of the primary expressions of our union with Christ the King will be participation in his judgment at the end of time. And yet, our participation in this future judgment will not wait until the end of time. The church’s participation begins in the present. Whenever God’s people join together in the holy work of church discipline, we participate in the very judgments of God. When Christ returns and reigns at the end of the age, all those united with him will join him in judging the cosmos (1 Corinthians 6:1-11; Revelation 20:4). Whenever we engage in church discipline, we rehearse this future prospect by staging a small play that pictures the great judgment that is yet to come. This proleptic participation in God’s future judgment is not merely symbolic; neither is it accomplished fully in the church’s present pursuit of justice. It is an actual—albeit incomplete—participation in God’s future judgment, made possible through our union with the one whom God has appointed to enact justice in his world. 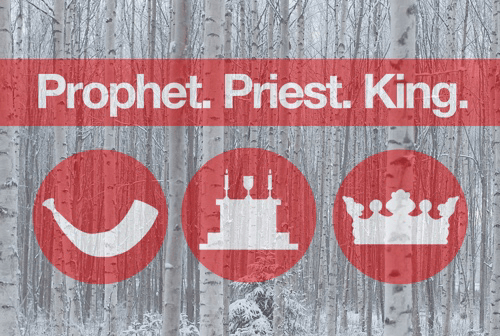 Have you heard prophets, priests, and kings used as a leadership typology? What has been your perspective on this typology in the past? How has this post altered your view?